Travel Size (3.7ml - full size is 10ml) Primer Potion. 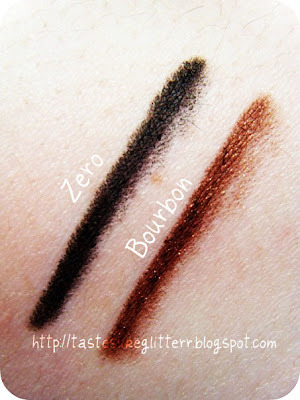 Bourbon - Medium brown with flecks of gold shimmer. Pervision - Charcoal almost matte black with a slight silver shimmer. Gunmetal - Frosty deep silver with light silver sparkle. Ecstasy - Medium purple with pink shimmer. * AC/DC - Deep purple/silver with a silver sheen. * Nylon - Medium bronze with gold shimmer. Sellout - Light bronze with a frosted finish. * Mushroom - Dark brown/taupe with bronze shimmer. * Sphynx - Light candy pink with pink sheen and some glitter. Half Baked - Metallic bronze/gold. 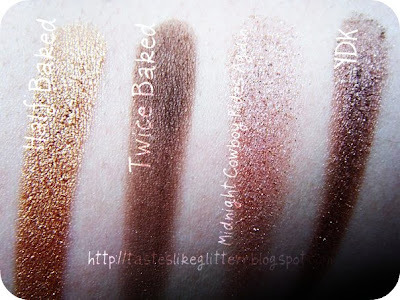 Twice Baked - Deep brown with a slight bronze shimmer. Midnight Cowboy Rides Again - Light gold/taupe with lots of glitter. YDK - Medium frosted brown. * Jinx - Bright metallic blue. * Homegrown - Bright green with gold sheen. * Misdemeanor - Deep green with a lighter green shimmer. 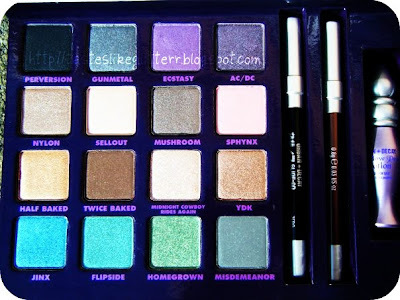 * = These shades are only available in this palette. 24/7 Eyeliners - These eyeliners are super pigmented and really creamy. 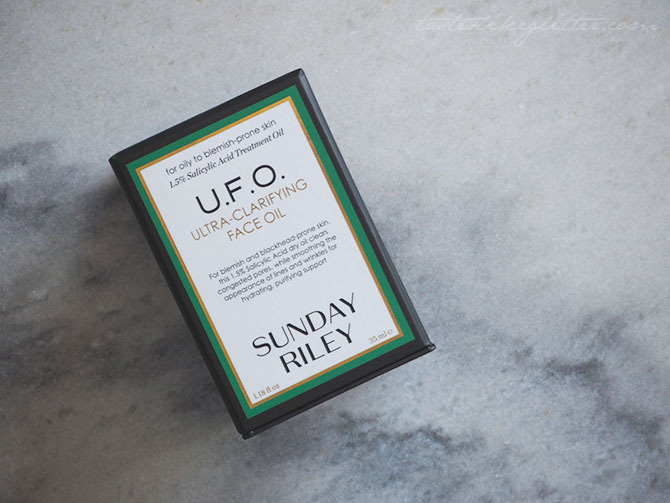 Once applied you have a good few minutes to smudge them in, if you wish, and then they do not budge easily when set. I personally have a problem with wearing pencil eyeliner on my upper lashline becauase I find it always transfers but I did not find this with either of these. Brown is not a colour I would usually wear and when I picked this up I thought it would be the only thing I didn't use but I think the shimmer makes it stand out from a regular brown eyeliner and I really quite like it. 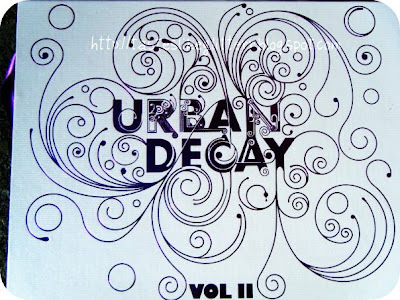 Eyeshadows - These are really soft, which I was not expecting. I was expecting to work quite hide for a good colour pay off, with these it is not the case. 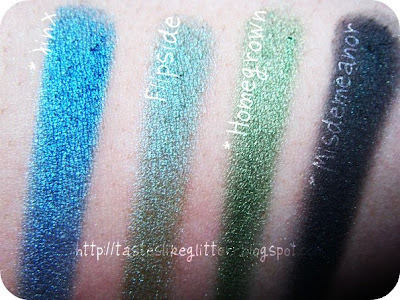 As well as the liners, these are also really pigmented. Good selection of colours, something for everyone. 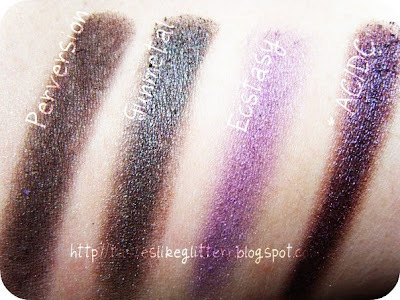 Only minor thing I don't like is the glitter fallout from MCRA, so watch out for that but all the other shadows are amazing and compliment each other really well. 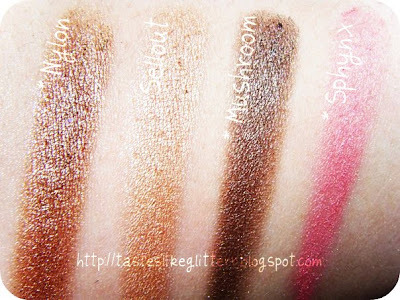 The swatches are all done in natural daylight and are all one swatch only except Perversion which was two.